Once your lawn has been planted or installed, regular lawn care is absolutely necessary in order to keep it the healthy, deep-green color that signals vitality. If improperly dethatched or aerated, your lawn can turn brown and become damaged. 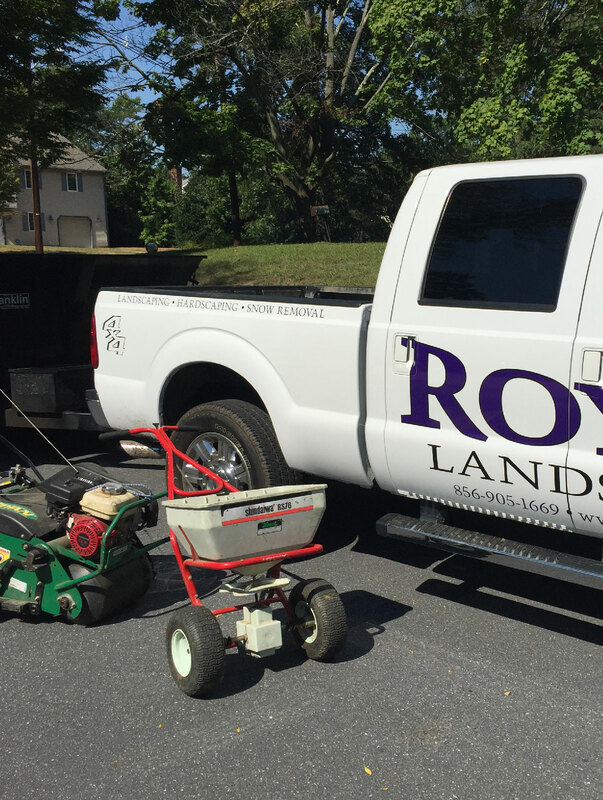 Royal Landscapes is here to make your life easier. Just sit back, relax, and watch your lawn become the envy of your neighborhood! Thatching: Thatching helps to remove debris, dead grass, clippings, and other types of buildup that can accumulate over time. Cleaning it creates room for new grass to grow. Not catering to these issues will ultimately destroy your lawn, leaving you with the possibility of having to start all over from scratch. Aeration: Aeration is important for South Jersey properties as it prevents grass from becoming thin. It accomplishes this by preventing the soil from becoming too compact and by allowing your lawn to absorb more water, which stops excess runoff from forming. During the process of core aeration, we mechanically drill small holes in your home or commercial property’s land. Afterwards, your lawn will breathe better, absorb nutrients better, and grow faster. The best times to aerate are during the early spring and early fall.